Pav Bhaji ..is another famous street food of Mumbai. 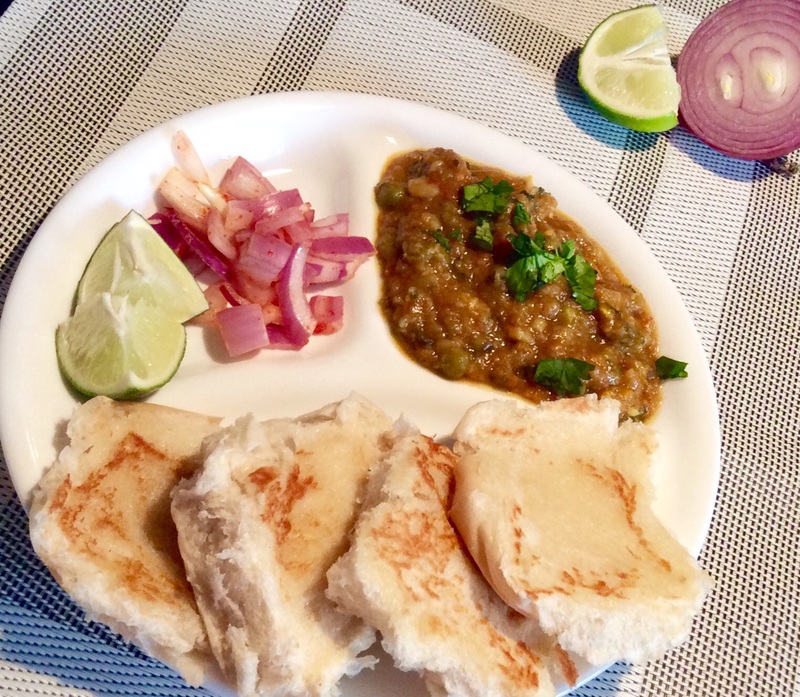 This dish is made of mashed up boiled vegetables sautéed in tomatoes, onions, garlic, masala (spices) with dollops of butter and garnished with fresh coriander and chopped onion and served with toasted/buttery buns (Pav). The tangy, spicy taste is absolutely delicious. This is one of my favorite recipes to make. It’s easy and quick to make, a complete meal to enjoy anytime and the taste is out of this world. I’ve made this countless times, since my family enjoys it a lot. My husband tells me that I’ve completely mastered this recipe and that he enjoys eating it every time. 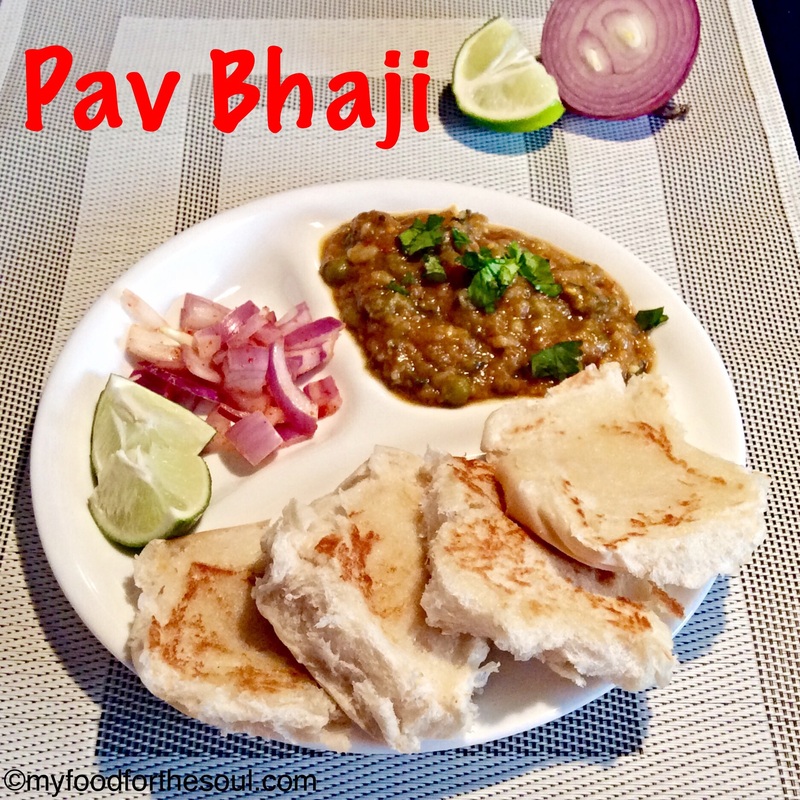 When I have a large group to entertain I like to make Pav Bhaji ….simple reason everyone loves a delicious pav bhaji and it super easy to make when making it in large quantities. 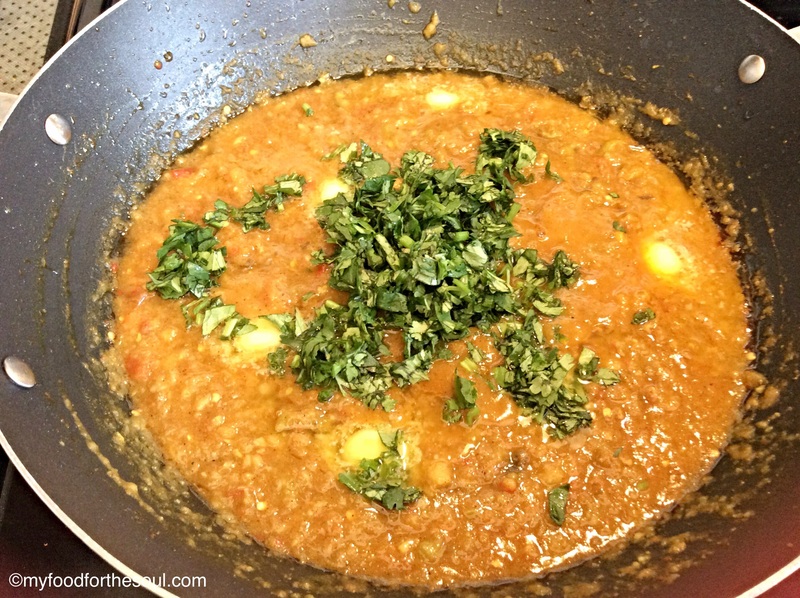 The real secret to making a really good pav bhaji is the “Pav Bhaji Masala”. As I mention in one of my previous post about Bhaji Paratha, I love to use “Bharat Brand Pav Bhaji Masala”. In Toronto, previously it was very difficult to find the real Pav (Buns), so we had to make do with dinner rolls or burger buns. But, I find that if the buns are well buttered and toasted they still taste great. 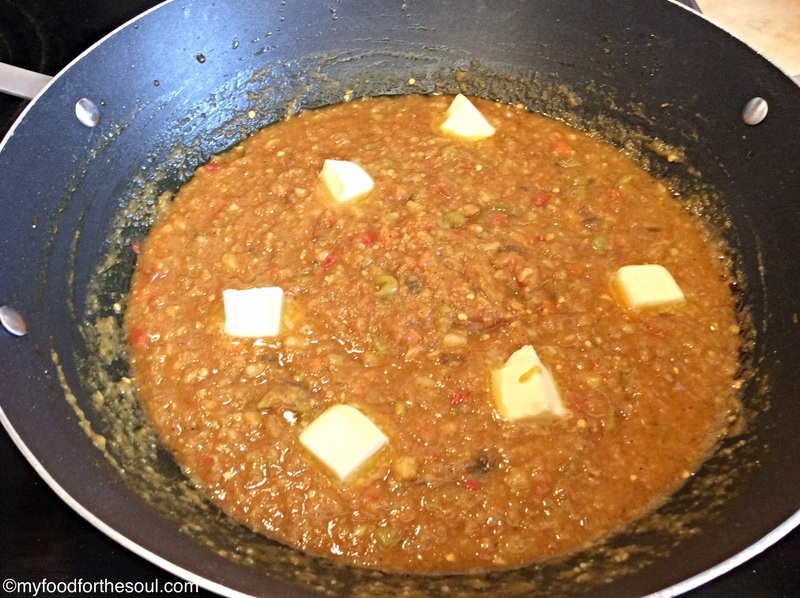 Actually, if you plan ahead to make pav bhaji …..then the best pav is to make your own. I won’t lie but I completely have not mastered making Pav yet, but I continue to keep trying until I master it and that’s when I will share my experience ….and recipe with you all. Pav Bhaji is one of those recipes that is not set in stone and need to follow one direction or method. The proportion of heat verses masala (spiciness) can be adjusted. Many people like to had more red chilli powder verse green chilli. I like to add green chilli with some red chili powder and Kashmiri Chili powder for the vibrant red color but keep in mind that they are fiery red and quite strong so need to us sparingly. Vegetables can be any choice that you like, garlic and onion is also optional if you follow a strict diet. If you enjoy eating chat phata food then also, check out how to make Bhaji Paratha, Punjabi Chole, Bhature or Broccoli Tofu Paratha. 1. Pressures cook the potatoes, green peas, cauliflower, carrot, green beans, green capsicum, red capsicum and eggplant. Add little water and let it pressure cook for 2-4 whistles. 2. 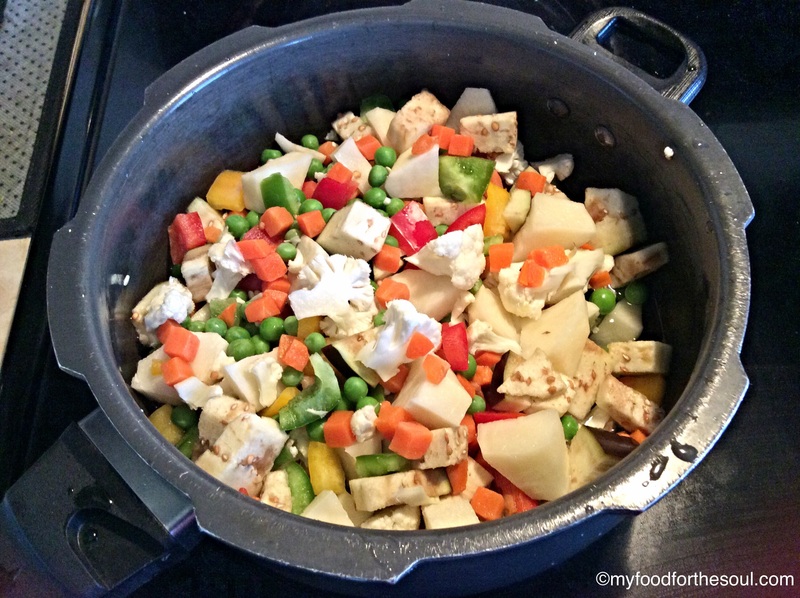 Mash the vegetables with the help of masher and keep aside. 3. Take a heavy bottomed pan place on medium high heat. Add oil once hot add jeera and asafoetida sautéed for half a minute. Now add in onion and cook for 2 minutes until onions turn pinkish color. Keep stirring. 4. Add chopped tomatoes and ginger-garlic and green chilli paste. Keep stirring and allow them to cook for 5 mins until tomatoes are cooked and a little mushy and raw smell of ginger/garlic is gone. 5. Now add in all the masala: pav bhaji masala, Kashmiri red chili powder, turmeric powder, red chilli powder, coriander powder, sugar and salt to taste. Combine all the masala and add in 2 tbsp. of water to avoid masala from burning. Let it cook for about 2 mins. stir in between. 6. 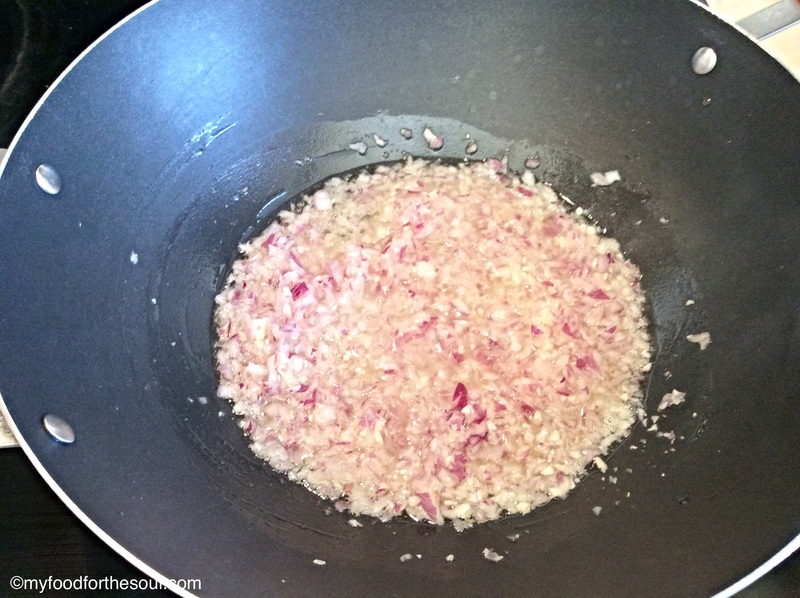 Add mashed vegetables to the onion/tomato mixture and mix it will till combined. Use the help of the masher to combine and mash never thing together. Make sure to cover it otherwise it will splatter all over. Let it cook for another 15 mins. Continuously stirring in between. 7. Squeeze some lime juice (half lime) and add in coriander leaves. Mix together well. Do a taste test at this point and adjust the spices/salt to your liking and also the consistency and let it simmer for another 5 mins. Pressures cook the potatoes, green peas, cauliflower, carrot and green beans. Add a very small amount of water and let it pressure cook for 2-4 whistles. Until soft and tender. 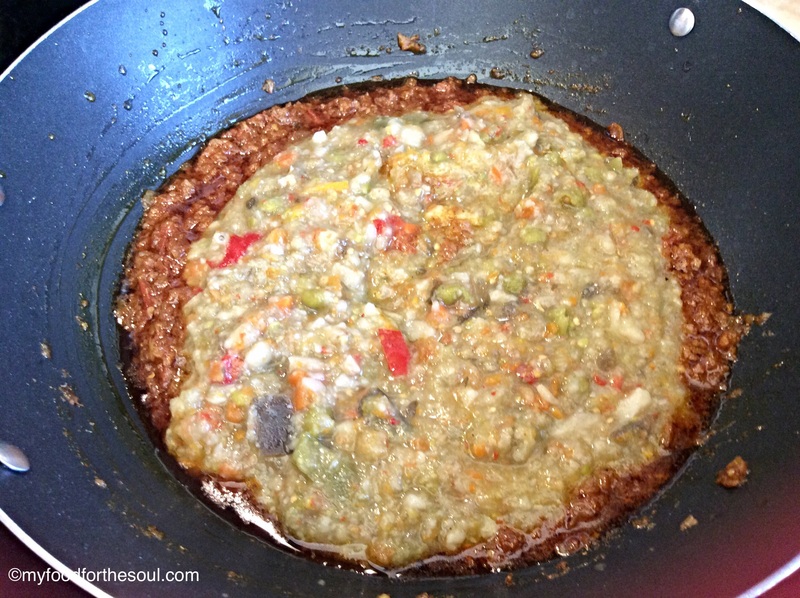 Mash the vegetables with the help of masher and keep aside. Take a heavy bottomed pan place on medium high heat. Add oil once hot add jeera and asofoetida sautéed for half a minute. Now add in onion and cook for 2 minutes until onions turn pinkish color. Keep stirring. 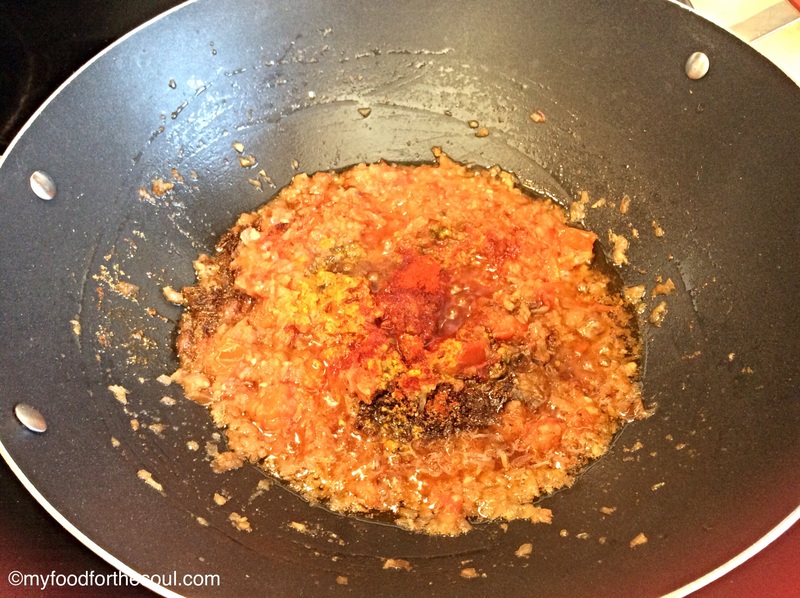 Add chopped tomatoes and ginger-garlic and green chilli paste. 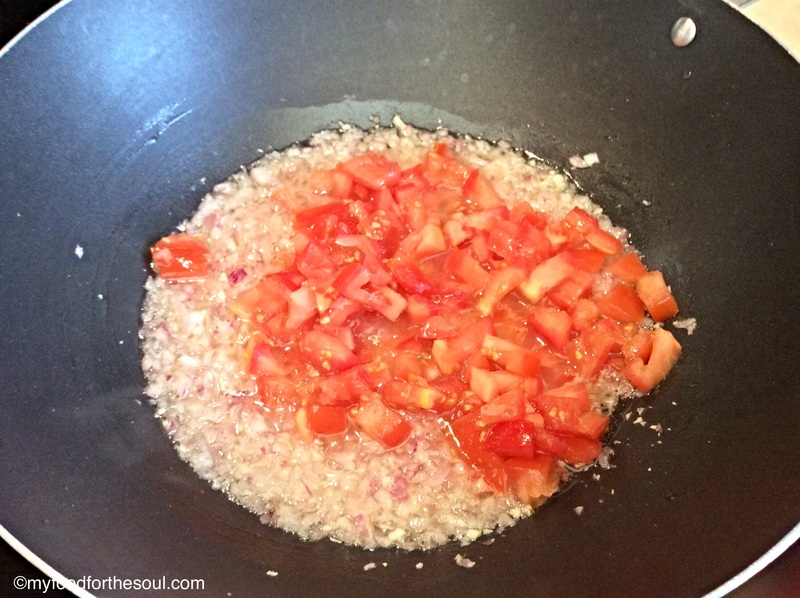 Keep stirring and allow them to cook for 5 mins until tomatoes are cooked and mushy raw smell of ginger/garlic is gone. 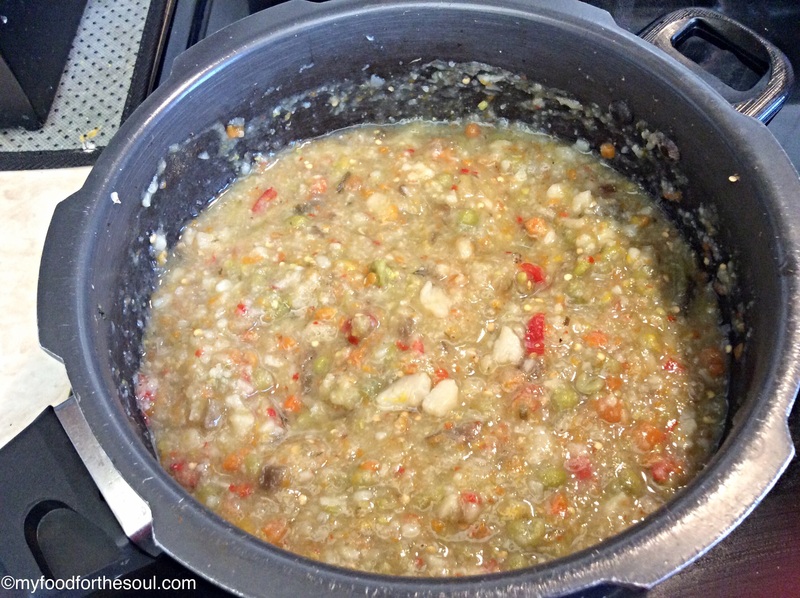 Add mashed vegetables to the onion/tomato mixture and mix it will till combined. Use the help of the masher to combine and mash never thing together. Make sure to cover it otherwise it will splatter all over. Let it cook for another 15 mins. Continuously stirring in between. **This optional if your a health conscious avoid it, but add in a few small pieces of butter at this point. Squeeze some lime juice (half lime) and add in coriander leaves. Mix together well. Do a taste test at this point and adjust the spices/salt to your liking and also the consistency and let it simmer for another 5 mins. If your a real health conscious person then you can avoid the butter. But this recipe taste great with the butter.